This week I tackled a small project to get back into the swing of things. What this boils down to is I have a lot of stationery and I love collecting more when I can! It was time to tidy up the messy pile strewn about in three places through the house. My sweet pup, Maggie, decided she was going to be extremely helpful in this task. 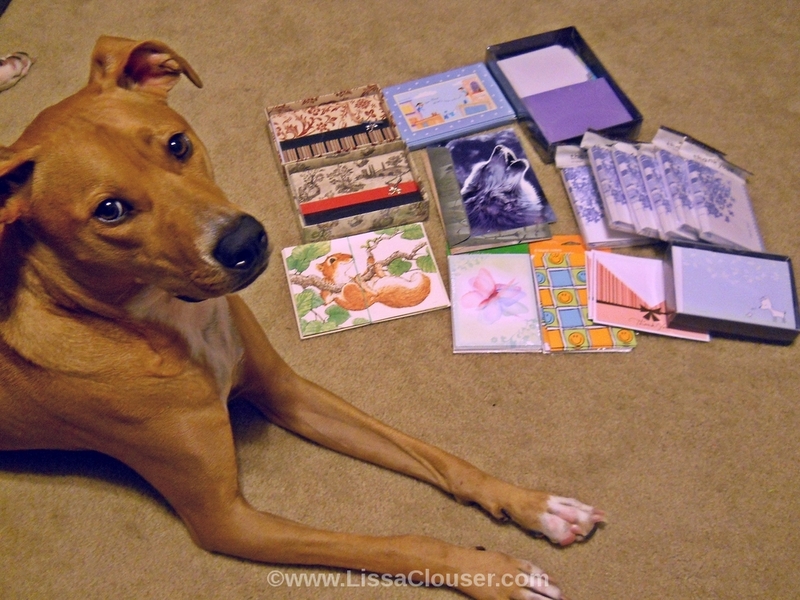 Here she is posing with a few of my note cards. I tend to prefer letter-style stationery, so I only have a few note cards, though I found at least a couple more sets after taking this picture. Ahh…. that’s more like it. And yes, that is papyrus. Because why not? 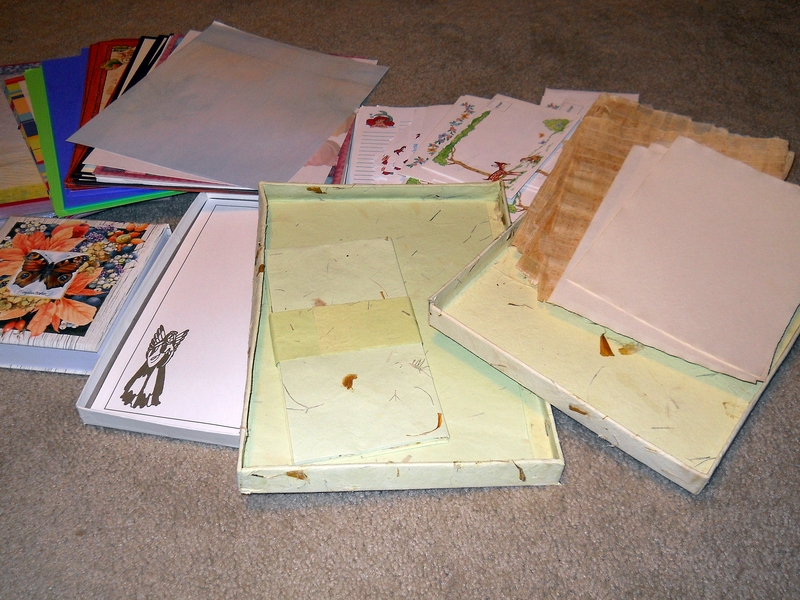 Unfortunately it is quite difficult to find letter stationery without it being colored/bordered computer paper, but I do have a few ‘proper’ letter sets not pictured here. I certainly have no lack of envelopes either. The owner of our local Hallmark retired and deeply discounted everything in the shop’s final days. 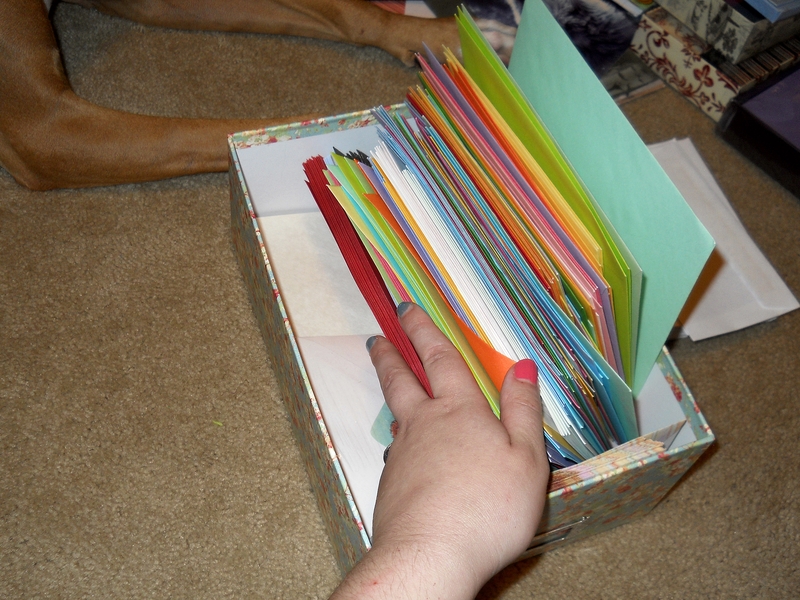 I got this rainbow stack of envelopes who had lost their cards for only a couple of dollars. 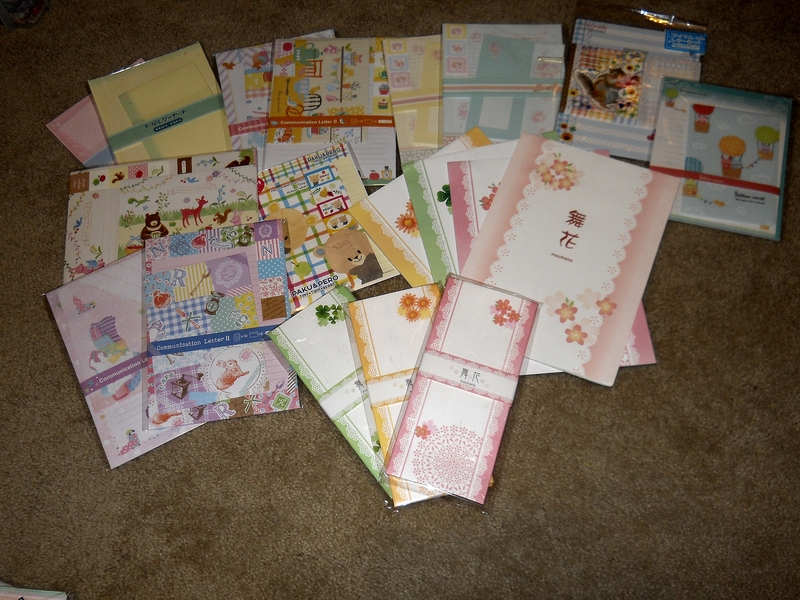 Honestly, finding letter sets that are fun, pretty, and less than a tiny fortune in the United States is so difficult that most of my stationery now comes from Japan, where letters are still popular! Actually I’m not entirely sure how popular letters are there, but the business must be just fine with the sheer number of options available. At last, when all was said and done though, I have everything nicely organized! 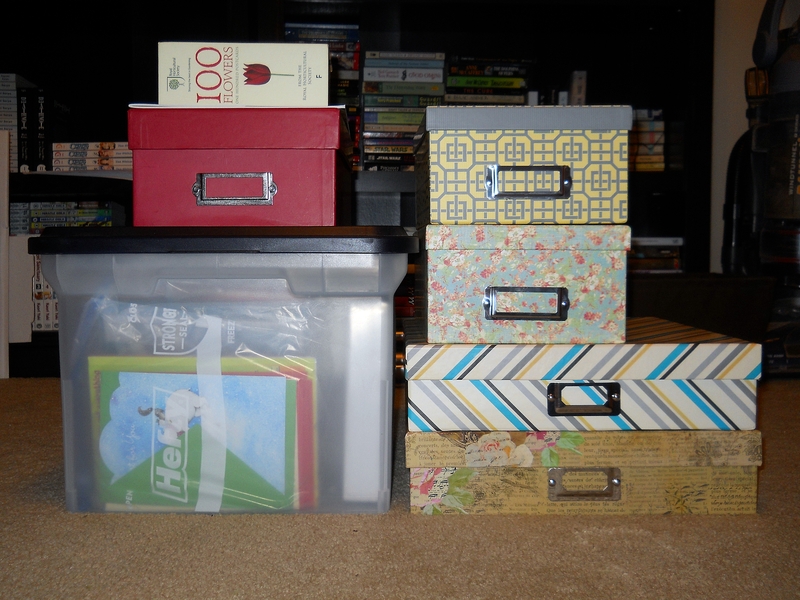 No more unwieldy stacks of paper-stuffs! How do you get involved with postcrossing? Just go to postcrossing.com and set up an account. You’ll get your first addresses to send cards to. Once those cards are registered as received, your address will be given to someone else in the world to write back!